Press Release – Oceana in Belize – March 11, 2015 - Based on requests from residents of Ambergris Caye and the media for more information about the grounding of a deep water submersible on the Belize Barrier Reef, on Friday, March 13th 2015, Oceana Belize and personnel from the Hol Chan Marine Reserve conducted a site assessment of the incident. 1. 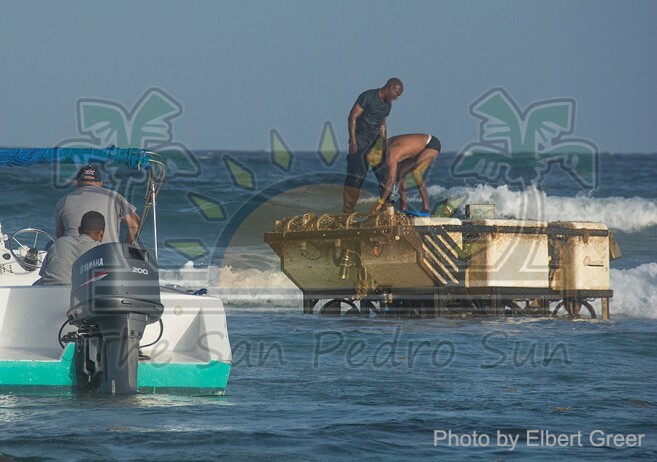 The deep water submersible was first discovered shortly after 3pm on Wednesday, March 11th approximately six miles north of San Pedro town in area known as Mexico Rocks. 2. The grounding is within the recently expanded Hol Chan Marine Reserve. 3. The swath of damage from the reef to where the submersible finally grounded is clearly visible. 4. The vessel came to a stop in approximately three feet of water. 5. The deep water submersible (Quantum 9, heavy work class ROV) measures almost 12ft in length by 6.6ft in width and includes four propellers topside, another two in the front and two more in the rear. The device also includes several underwater cameras. 6. The ROV includes an extended “arm”. 7. The submersible has already caused substantial damage to the coral species (including fire coral Millepora alcicornis) at the site. 8. Efforts to date to remove the submersible have proven unsuccessful because of high wave action. 9. Based on information found on the vessel (serial numbers etc. 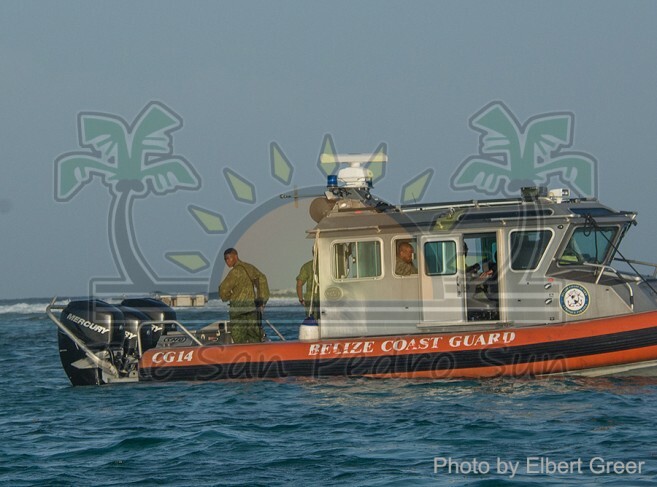 ), the vessel has been identified by the manufacturer as an ROV reported as “lost” in Trinidad and Tobago in November 2014. According to reliable sources, the manufacturer contracted the ROV to a company called Impersub International, which does research and exploration for gas and oil companies. Oceana Belize supports the recommendation that the submersible be removed as soon as possible to avoid any further degradation to the site. This assessment is independent from any other investigation being carried out by any of the relevant government agencies. Links to video footage collected during the site assessment as well as still photos can be accessed here.